Situated in Yvetot, this hotel is 8.5 mi (13.6 km) from Fontenelle Abbey and 8.6 mi (13.8 km) from Notre Dame Caudebec-en-Caux. Caresse de Tigre and Base de loisirs du Lac de Caniel are also within 20 mi (32 km). Yvetot Station is 28 minutes by foot. Located in Rouen City Centre, this luxury hotel is within a 10-minute walk of Rue du Gros-Horloge and Rouen Cathedral. Musee Jeanne D'Arc de Rouen and Place du Vieux-Marche are also within 5 minutes. Theatre des Arts Tram Station and Palais de Justice Tram Station are within a 5-minute walk. Located in Quartier Pasteur, this hotel is within 1 mi (2 km) of University of Rouen and Rouen Cathedral. Panorama XXL and Rouen Opera House are also within 10 minutes. Theatre des Arts Tram Station is 10 minutes by foot and Palais de Justice Tram Station is 13 minutes. 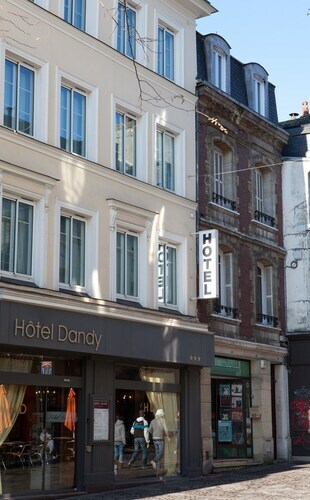 Located in Rouen City Centre, this hotel is within a 5-minute walk of Rouen Cathedral and Gros Horloge. Saint-Ouen Church and Tour Jeanne d'Arc are also within 15 minutes. Palais de Justice Tram Station is 5 minutes by foot and Theatre des Arts Tram Station is 7 minutes. How Much is a Hotel Room in Yvetot? Hotels in Yvetot start at $60 per night. Prices and availability subject to change. Additional terms may apply. Those dreaming about wandering in Yvetot, should think about pre-booking a room as early as possible, because you won't find a great number of accommodation choices in the vicinity of the town center. The nearest Travelocity-listed hotel is the Belle-Isle sur Risle, Normandy, which is 20 miles (34 kilometers) from the business district of Yvetot. However, why not stay at the Domaine Le Clos des Fontaines, located in Normandy, which is 13 miles (21 kilometers) away. Investigate the Château de Sissi or the Hotel du Casino. The Château de Sissi is located 17 miles (27 kilometers) away from downtown Yvetot. The Hotel du Casino, is located 17 miles (28 kilometers) away. Other options include the Le Relais De Montigny - Logis and the Le Clos de la Vaupalière. If time permits, adventurous explorers could travel to other parts of Normandy. Spend time at Normandy's ruins, castles and traditional villages and you can also see the region's rural landscapes. In this area of France adventurous travelers might partake in rock climbing. Are you looking for things to do? Spend the day visiting Rouen Expo Park and Zenith de Rouen, in Le Grand-Quevilly, 19 miles (31 kilometers) to the southeast of Yvetot. 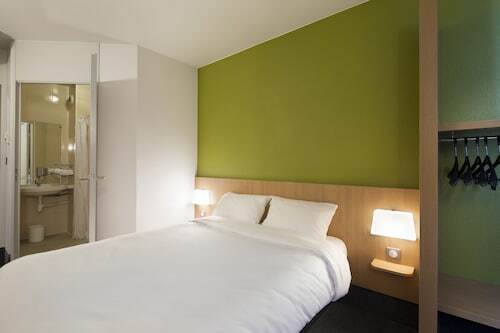 The Hôtel Novotel Rouen Sud and Novotel Suites Rouen Normandie are a few of the convenient hotel alternatives in Le Grand-Quevilly. Or, you could stay in Eu, 40 miles (67 kilometers) to the northeast of Yvetot, where you can pick from the Domaine de Joinville & Spa and Inter Hotel La Cour Carree. During your time in Eu, set aside a little time to check out the Chateau d'Eu and Jardin Jungle Karlostachys. If you are interested in sport and adore watching local clashes you might like to spend a day at Deauville La Touques Racecourse, which can be found 35 miles (58 kilometers) to the southwest of Yvetot. Travelocity readers who would like the ease of sleeping close to the game, make a reservation in the Hôtel Barrière Le Royal Deauville or Hôtel Barrière Le Normandy Deauville. 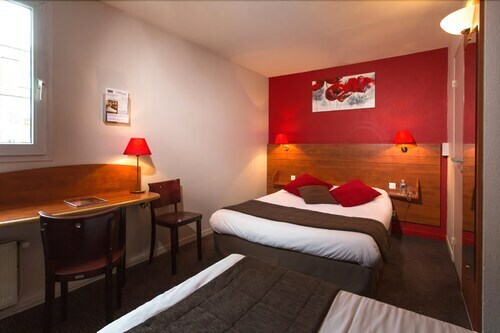 If you are traveling via Rouen - Seine Valley Airport, you might plan to book Travelocity-listed accommodation at Campanile Rouen Est - Franqueville Saint Pierre, or Le Vert Bocage, which are both a short trip away. Good location. Otherwise nothing to recommend it. Basically it is a dump but about what you would expect for the low price. I don't know what else Rouen has to offer, but this hotel was creepy.